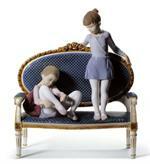 Sculptor: Miguel Angel Santaeulalia Size: 6x4¾ "
Companion piece for Giselle Reverence and Backstage Ballet. 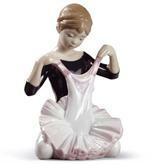 Companion piece for Giselle Arabesque and Backstage Ballet. 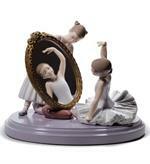 Sculptor: José Javier Malavia Size: 5x3½ "
This sculpture represents a mother sharing her passion for ballet with her two daughters. Sculptor: Miguel Angel Santaeulalia Size: 4¾x3½ "
Sculptor: Salvador Debón Size: 5½x4¼ "
Sculptor: Salvador Debón Size: 6x4¾ "
Sculptor: José Luis Alvarez Size: 5x8¼ "